Acton resident Chris Blackman and his partner bought a newly built shared ownership flat in partnership with Acton Housing Association in June of 2005. The flat, which is part of a brownfield redevelopment situated on Acton’s busy High Street, was intended as a first step onto the property ladder for the young professional couple, but has given them nothing but sleepless nights since the day the moved in. Despite the fact that no plans were ever resubmitted to Ealing’s planning department, contractors, Leadbitter Construction, went ahead with the build. 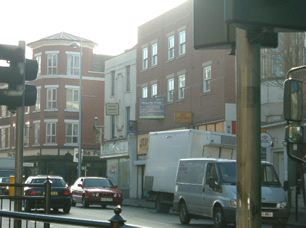 In February 2005, Acton Housing Association began to market the shared ownership properties, a scheme intended for key workers, at a market rate of around £200,000. Chris Blackman, a university researcher and his partner who works in the film business bought their top floor, one bedroom flat in April 2005 and moved in a few weeks later. The couple, who have lived in Acton for over five years, knew that the location of their flat wasn’t ideal but believed that because it was a new build, the standard of the property would more than make up for this. However, they discovered that in reality the poor quality of the windows meant that noise lasting almost a full 24 hours turned their home into a nightmare. 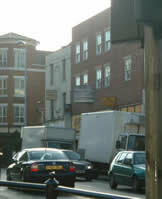 The flats, which face onto an alleyway, suffer virtually constant noise pollution from 5.00am deliveries to the local shop to the 24 hour mini cab firm that operates from the basement of the building for which a licence was granted by Ealing Council before any of the residents had moved into the building to object. After numerous emails and letters failed to provoke Acton Housing into action, Blackman contacted their Chief Executive, Peter McCormack, who ordered acoustic tests to be carried out. The resulting report, written in November 2005 and which residents managed to obtain a copy of last week showed that the noise levels in the flats were significantly higher than the decibels recommended by the council with one resident suffering noise levels in their bedroom 13dB higher than those permitted by Ealing Council. Residents are understandably angry and are considering suing Acton Housing. However, the reason these people live in Shared Ownership properties is because they cannot afford to buy properties outright, which also means they don't have money for legal help. “We get treated like second class citizens and have to cope with conditions that my partner describes as a 'nightmare' and which reduce her to tears frequently. And all this time Acton Housing Association is holding meetings to discuss how they can improve their policy. One way would be to respond to serious problems like this!" Acton Housing Association has told residents that they are meeting with the Leadbitter Construction to try and iron out the problems. The resident’s request to attend this meeting was denied. Benjamin House is just one of a number of new shared ownership projects currently in Acton. Shared Ownership properties in Bromyard Avenue and Horn Lane have recently been completed and are about to go on the market.